Telling the story of Holistic Ranching. Elster Ranch isn’t your typical ranch. They follow holistic practices, create pastures that are full of green grass, and treat the land like it’s not disposable; because it isn’t. Their amazing love for the land produces a beef product that’s truly a cut above the rest. Field work on the ranch and scouting ‘holistic’. Before the team at Three29 could dive into the Elster Ranch project we took a day to visit the ranch. We rode ATVs, learned about irrigation, walked through green fields (noting that their neighbor’s fields were brown), and watched lectures on holistic ranching practices in the homestead. We didn’t come out of the day with the knowledge to run our own ranch, but we certainly understood the power and importance of what Elster Ranch is doing. Elster Ranch has a rich history and a love for their land and product like no one else. The brand needed to be simplified and brought current, just like the technology on the ranch. The old logo was artful; by no means was it the worst logo we’ve ever seen. However it still needed a little love to bring it forward. The new logo wasn’t drastically different. We enlarged the text, simplified the barn and brought the established date up to the front. Cleaner but still in line with their existing brand. A simplified logo led to new, more modern graphical elements that could be used throughout all their marketing materials. This little bug for example could be a stamp on their vehicles or a sticker on product packages. Using photography to convey a story. 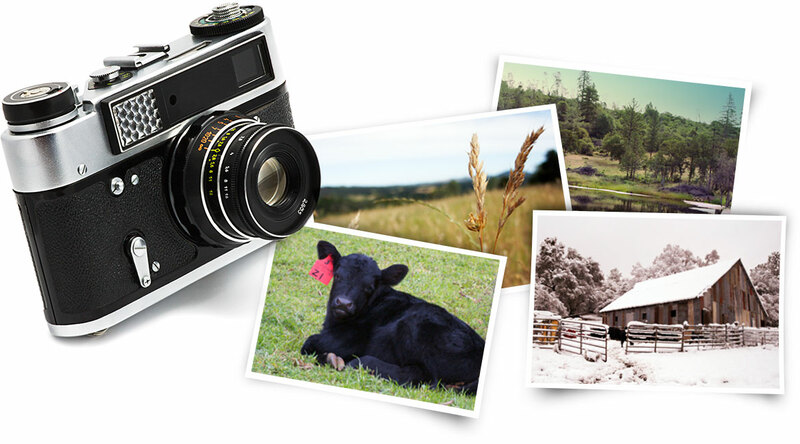 If a picture is worth a thousand words, then Elster Ranch is a photographer’s library. The rolling fields, ponds, and livestock all wanted to participate in our photo shoot. 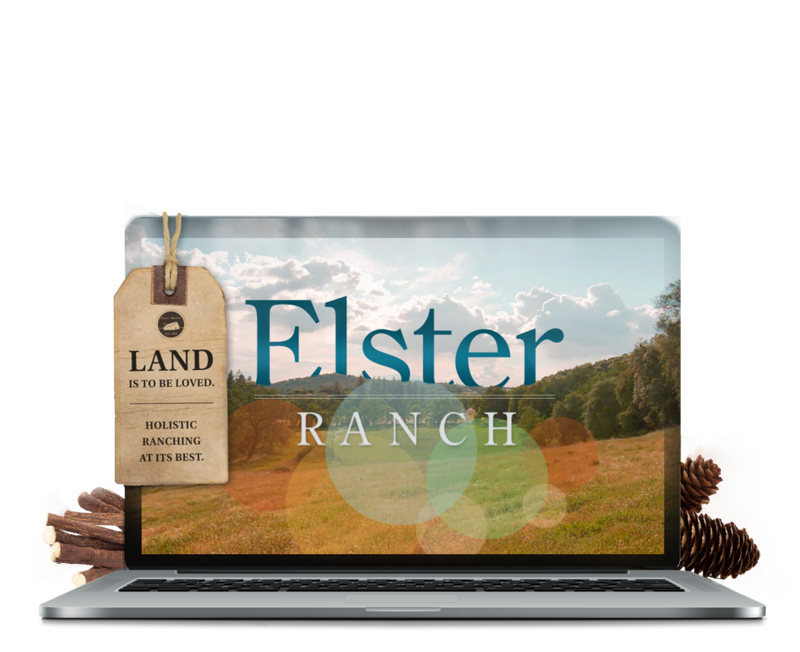 Elster Ranch focuses on the love of the land, and the new site captures that love in stunning photography and time lapse videos. The site isn’t exceptionally deep because it doesn’t need to be. Elster Ranch is about history, ranching and taking care of the land. 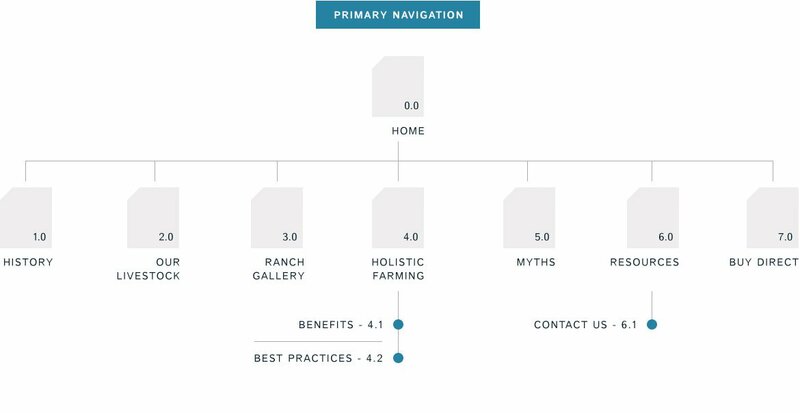 The simple, but effective navigation structure brings all of it to the front. 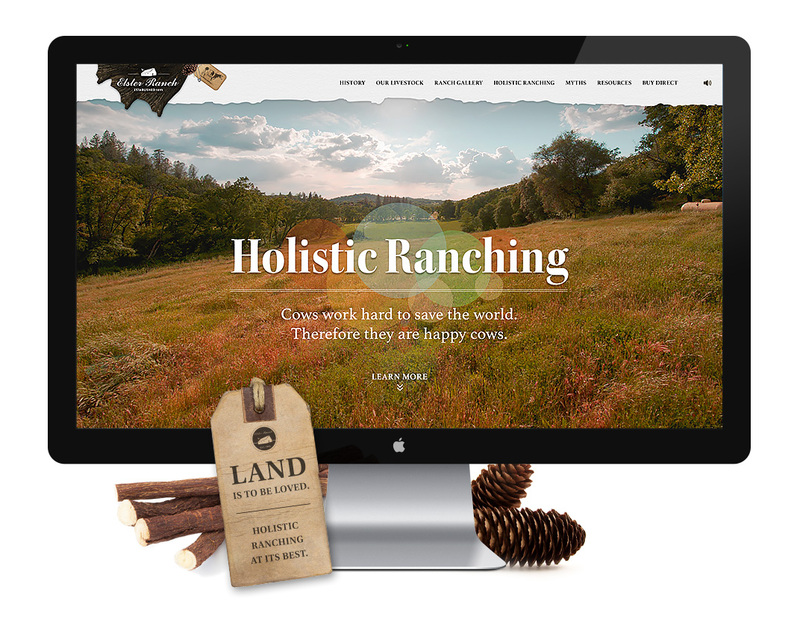 A website to promote discovering the power and importance of holistic ranching. 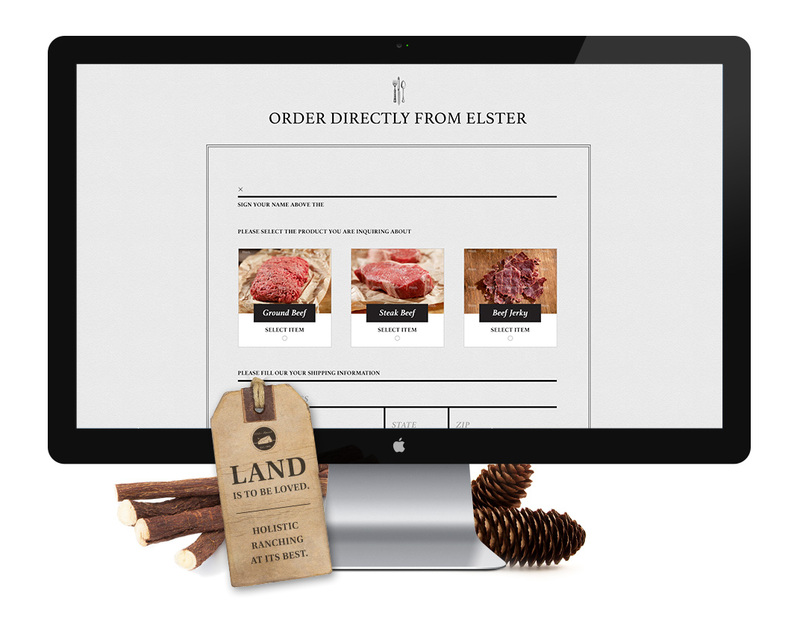 The new Elster Ranch site was purposely designed to take advantage of long scrolling pages. As the user navigates down they’re presented with different ways to interact with the content, tidbits of information, videos, and imagery all centered around educating the user. 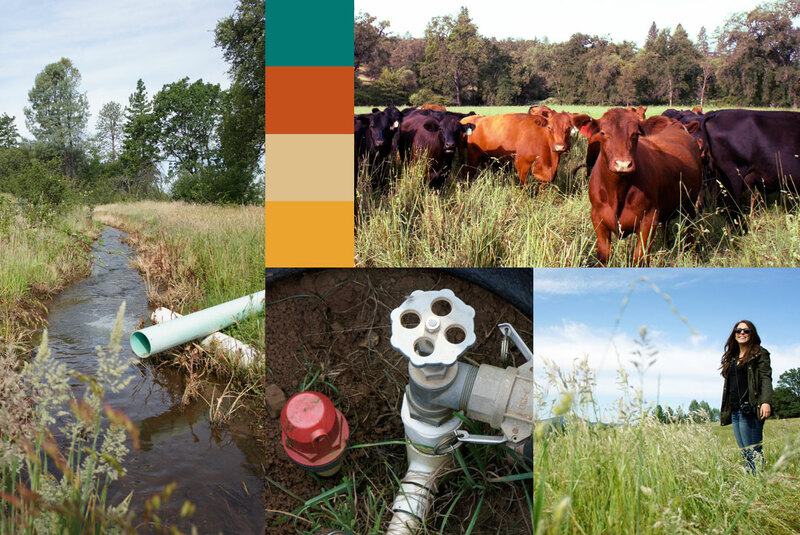 Elster Ranch’s power is in the change they bring to the environment and ranching as a whole. Each user is able to discover that as they scroll deeper and deeper. The new site is clean and engaging with just a touch of hand-tilled graphics. Combining the long form search with stunning photography and natural elements, the new website is crafted from the ground up and gorgeous, just like Elster Ranch. The power of an on-site visit really came through with Elster Ranch. We spent the entire day exploring the ranch, learning about paddocks, visiting with cows & the ranch dog Blue, and riding ATVs. 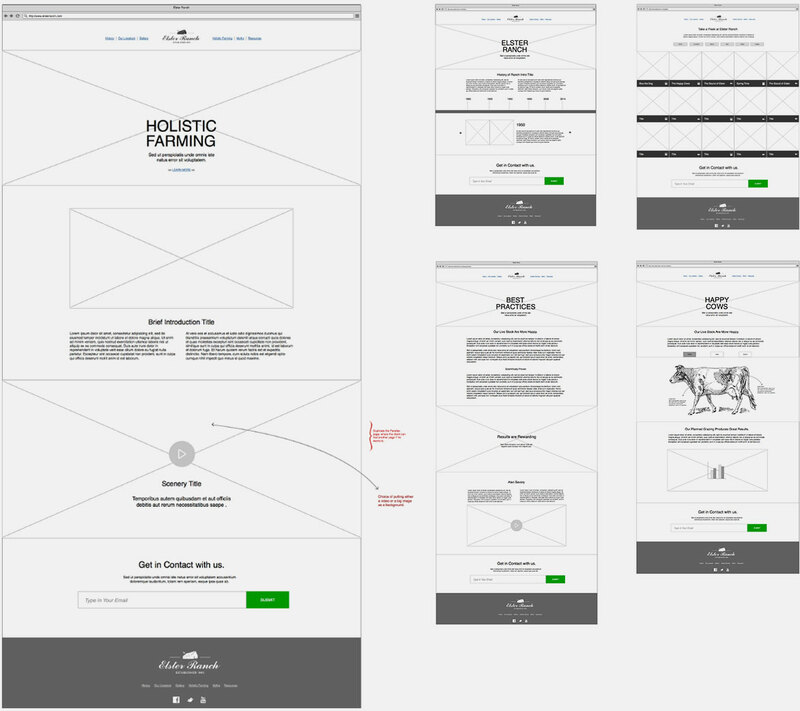 By the time Three29 dug into layout and design of their site we had an entire day of ranching behind us. This experience directly translated into their new site as we moved through an organic and uninhibited process. 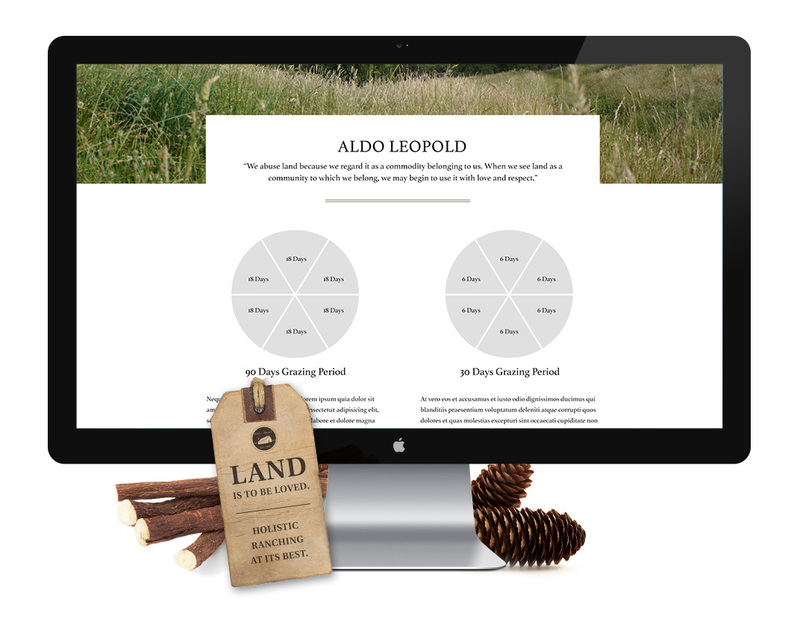 Elster Ranch is the unicorn of web design. It needed to be pretty and well designed for design sake, and we weren't deeply concerned or limited by marketing initiatives and a traditional user-base. 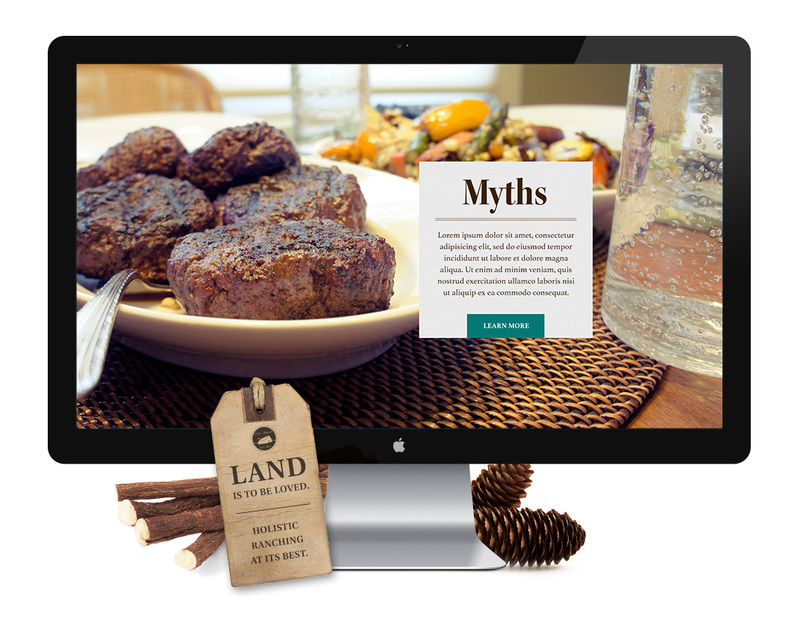 While the usability wasn't a huge concern, we focused on a site that was fun to explore, used great photography and video, and brought the topic of holistic ranching down to a conversational level. The new site does all of this all while being absolutely gorgeous. We were thrilled to be a part of Elster Ranch's growth.